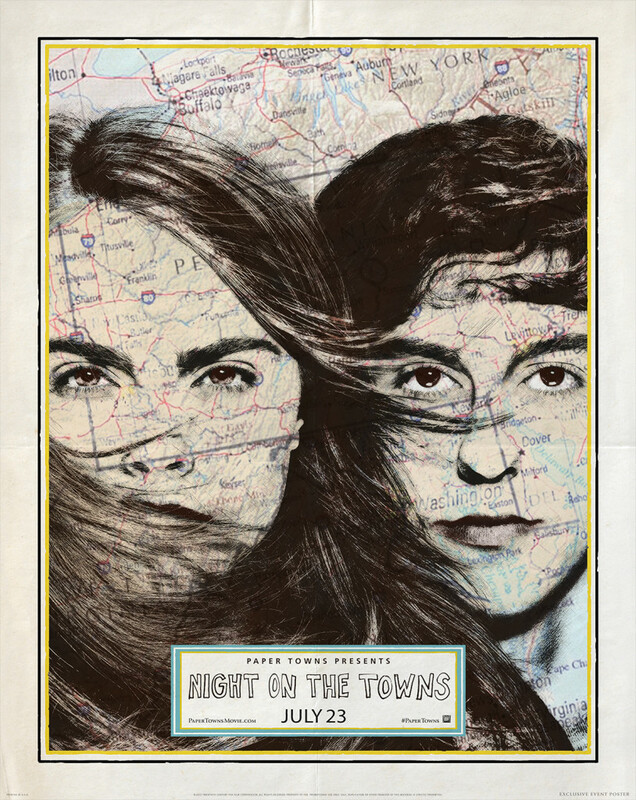 Fans will be able to enjoy Paper Towns a day early during Night on the Towns special event. This also includes a live simulcast Q&A with cast/creators and exclusive musical performances. We’re officially less than a month away from the theatrical release of Paper Towns, and as we saw with The Fault in Our Stars, John Green-inspired films debut with flare. Yesterday, 20th Century Fox announced that fans will be able to enjoy Paper Towns in a special event. Those who attend Night on the Towns will be the first to see the film and be included in a live simulcast experience of an exclusive Q&A with stars Cara Delevingne, Nat Wolff, Jaz Sinclair, Halston Sage, and Justice Smith, as well as author John Green, director Jake Schreier and producer Wyck Godfrey. The special Night on the Towns event is in theaters only on July 23, 2015, so head over HERE to find your local participating theater and buy your tickets today (U.S. and Canada)! Paper Towns hits theaters everywhere July 24, 2015. Share book reviews and ratings with Funmbi , and even join a book club on Goodreads.